BLEMISHED: DOBANI 4 Inch Taxi Horn Rubber Bulb Replacement BLEMISHED. This is a replacement rubber bulb for a taxi horn with a 5/8 inch fitting. 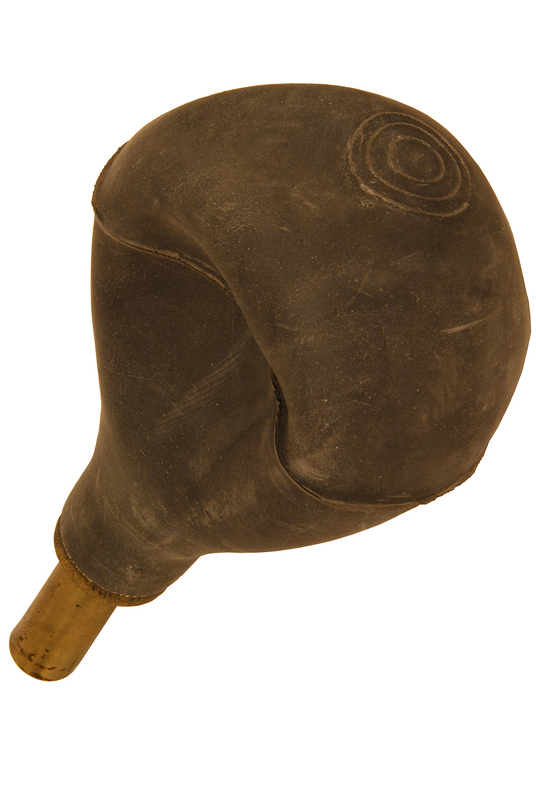 It is approximately 4" in diameter with a brass tube of approximately 5/8" in diameter and 1 3/4" in length. It fits item codes: BULL, BULS and BULH. Many of these Spare Rubber Bulbs are dented and do not maintain a round appearance. However, these bulbs have been tested and do function, they still honk a horn. The important factor is not the volume of air, but the speed at which the air moves through the reed. If you need a horn for a professional recording, then get the first quality. If your horn is recreational, then these bulbs are perfect but will look like you just found it in your Grandpa's garage.